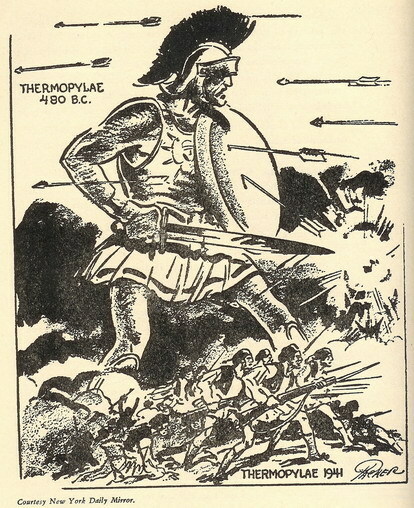 The Battle of Thermopylae during World War II occurred in 1941 following the retreat from the Olympus and Servia passes. 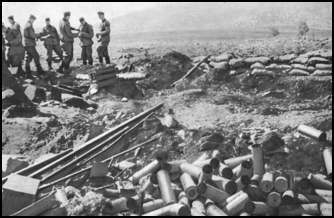 British Commonwealth forces began to set up defensive position at the historic pass at Thermopylae. (Thermopylae is famous for the Battle of Thermopylae under King Leonidas who fought with 300 Spartans and 700 Thespians to the death against a gigantic Persian army in 480 BC.) 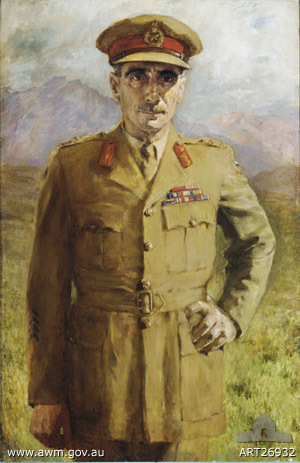 General Bernard Freyberg was given the task of defending the coastal pass with Mackay defending the village of Brallos. In the New Zealand sector, the 5th Brigade was deployed along the coastal road, the foothills south of Lamia, and the Spercheios River. The 4th Brigade was on the right where it had established coast-watching patrols, and the 6th was in reserve. In the Australian sector, the 19th Brigade, comprising the 2/4th and 2/8th Battalions, defended Brallos. 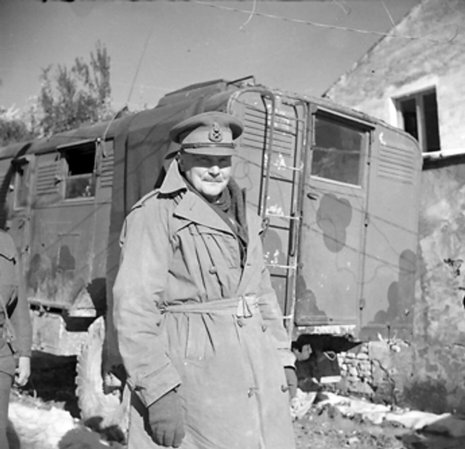 On 19 April the 2/1st and 2/5th Battalions were placed under the command of Maj Gen George Vasey, and that day and during the early hours of the next, 2/11th Battalion rejoined the brigade. Generals Freyberg and Mackay had been informing their subordinates that there would be no more withdrawals, both unaware of the higher level discussions on the evacuation. After the battle Mackay was quoted as saying. This was interpreted by his brigade major as the "Brigade will hold its present defensive positions come what may". 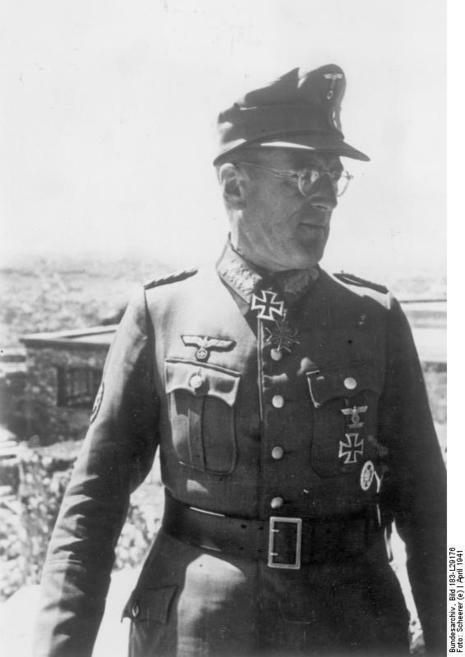 The Germans attacked on 24 April, met fierce resistance, lost fifteen tanks and sustained considerable casualties. The Australians and New Zealanders held out the entire day. With the delaying action accomplished, they retreated in the direction of the evacuation beaches and set up another rearguard at Thebes. To permit the evacuation of the main body of British forces, General Wilson ordered the rear guard to make a last stand at Thermopylae Pass, the gateway to Athens. 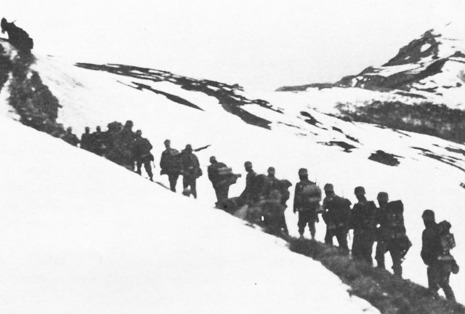 Between 20 and 22 April 1941, Australian, British and New Zealand units dug in on the Thermopylae Line and waited for the German advance across the plain from Lamia. The New Zealanders defended the famous Pass of Thermopylae where the Spartans had fought the Persians.